The past two weeks have been dreadfully cold, as winter fully sets in up here in the North. The air is so chilled that it seems to take one's breath away, burning down the windpipe fiercely. Everyone scurries around from place to place to do last minute shopping, bundled up from head to toe in coats and scarves and mittens until nothing but red cheeks are showing. Fashion has given way to practicality. Though the wind is fierce, the earth's thick coat of white is beautiful enough to make up for winter's ferocity, at least in part. A few degrees of warmth might make the ice and snow a bit more tolerable. With all of the below zero temperatures, I have spent my time indoors, cuddled up with a hot cup of tea and an overdone holiday movie. When I have a spare bit of time, I like to find an excuse to turn on the oven, whether making a batch of my boyfriend's favorite cookies or finding an excuse to treat my coworkers. 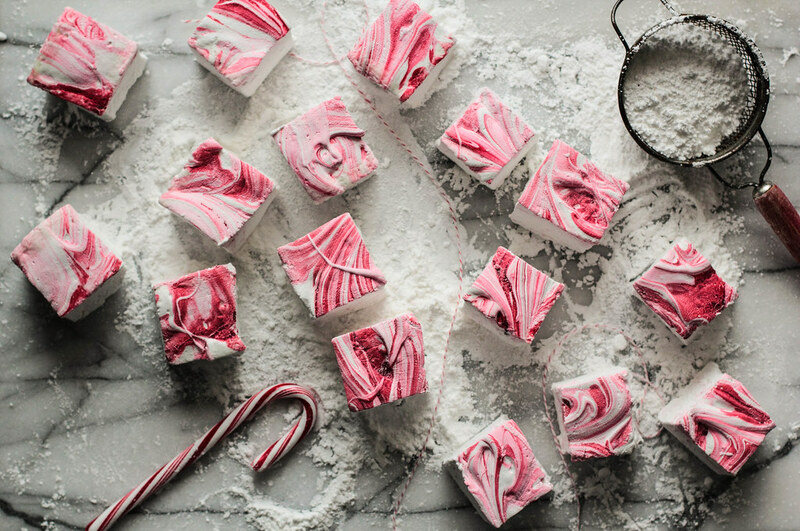 Last weekend, I had it in my head that I would make a batch of gourmet peppermint marshmallows for the holidays. Midway through the recipe, as the sugar was wildly boiling, I came to the unfortunate realization that my candy thermometer was broken. After trying to salvage the recipe, with the sugar certainly overcooked, I ended up throwing it entirely into the trash bin. 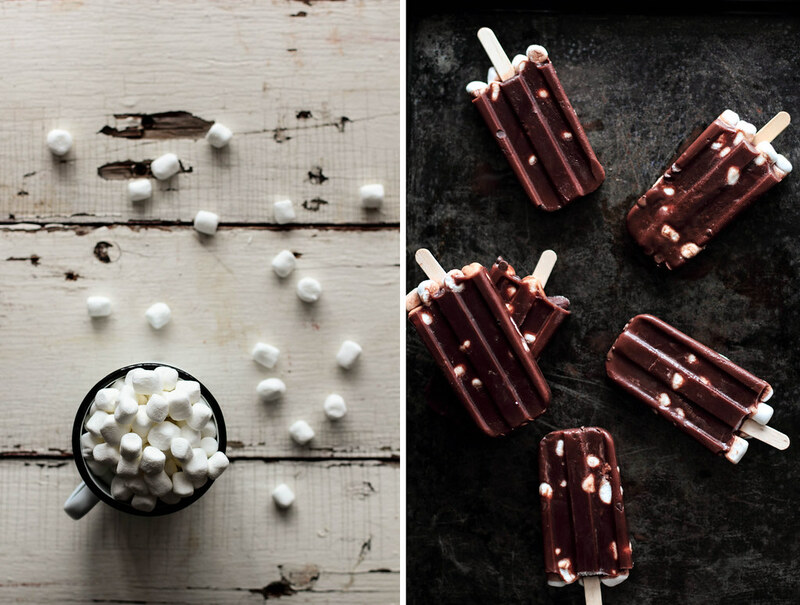 I have never come across a recipe for marshmallows that did not require a candy thermometer. 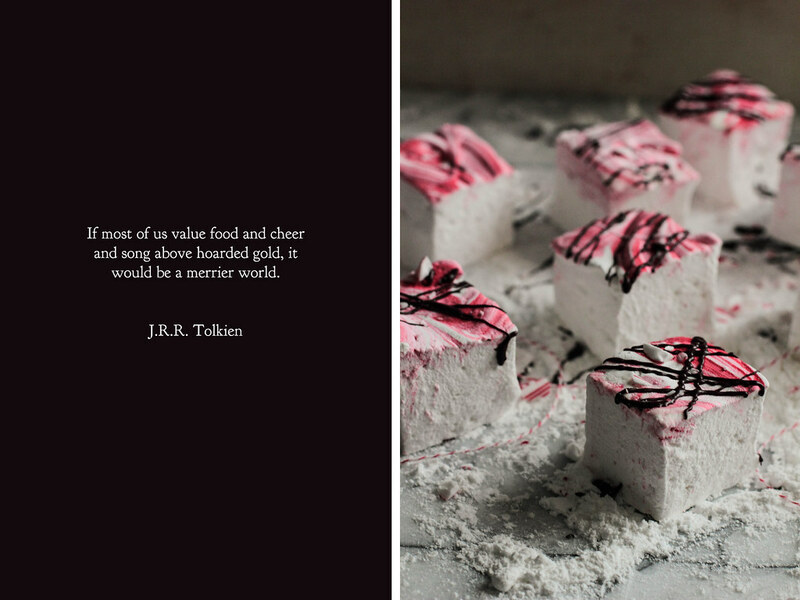 In fact, the vanilla bean marshmallows I shared with you earlier this year is one of the few recipes where I insisted you needed one. 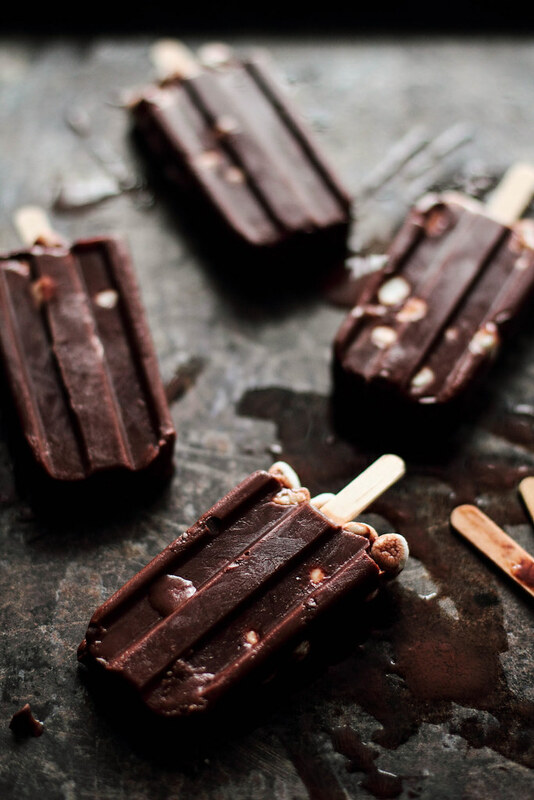 However, suddenly candy thermometer-less and with no less of a desire to make marshmallows, I began the search for a recipe that didn't require one. And find one, I did. 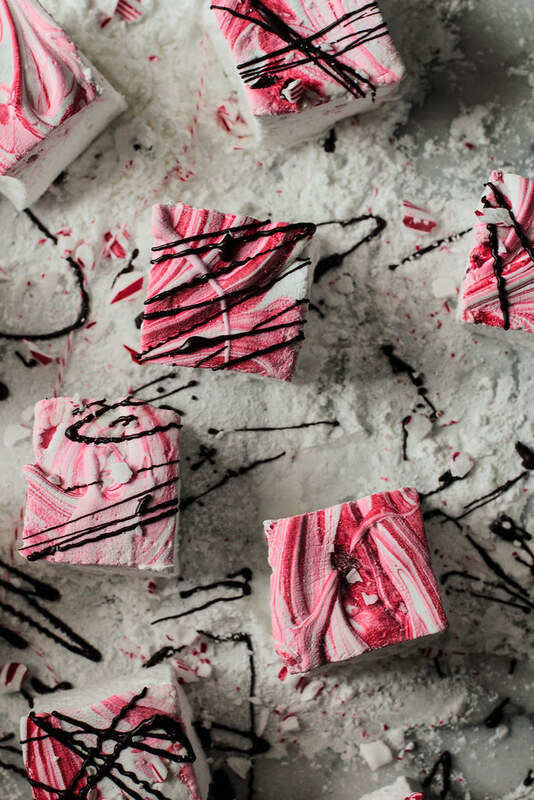 With a red swirl and drizzle of dark chocolate, these Peppermint Marshmallows exceeded my expectations. 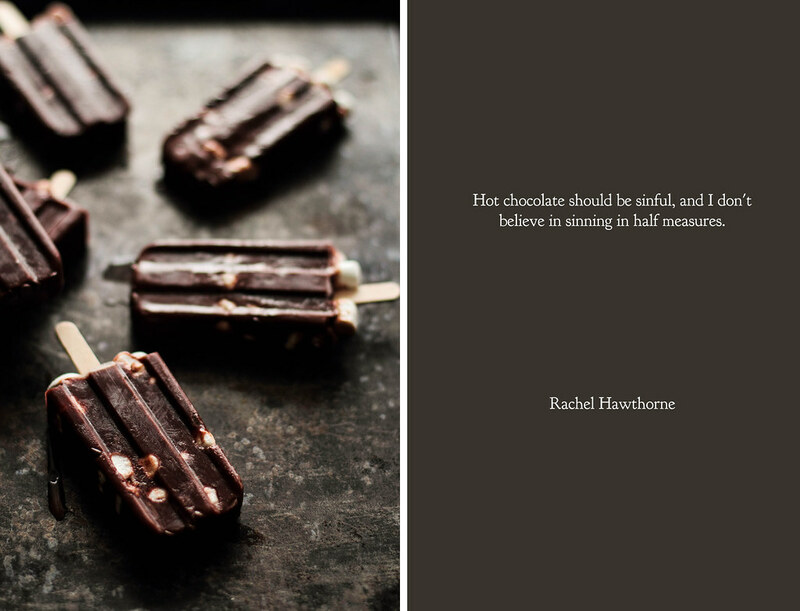 While they are glorious on their own, I wholeheartedly suggest adding them to a mug of hot chocolate for a moment of divinity. 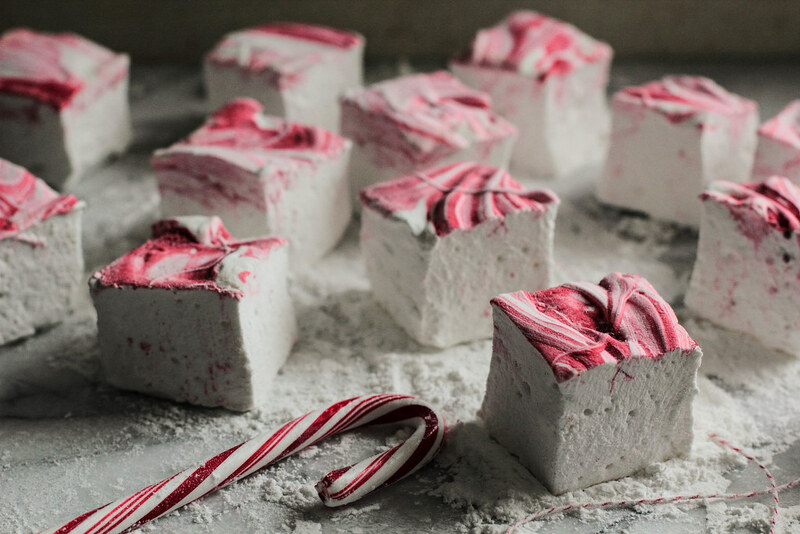 These Peppermint Marshmallows are easier to prepare and less fussy than other marshmallow recipes. 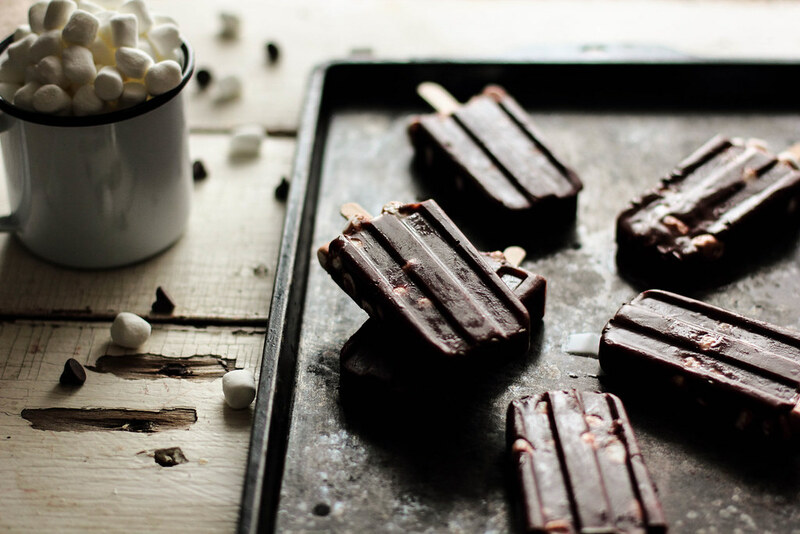 The addition of extra gelatin ensures that the marshmallows will set without the worry of boiling sugar to a specific temperature (as there is with traditional marshmallows). 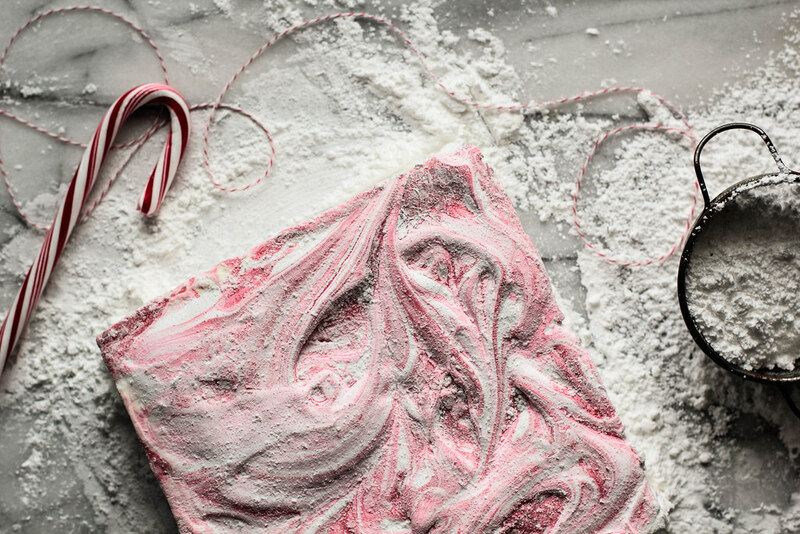 Red food coloring is dropped on top and swirled with a toothpick before the marshmallows have a chance to set. 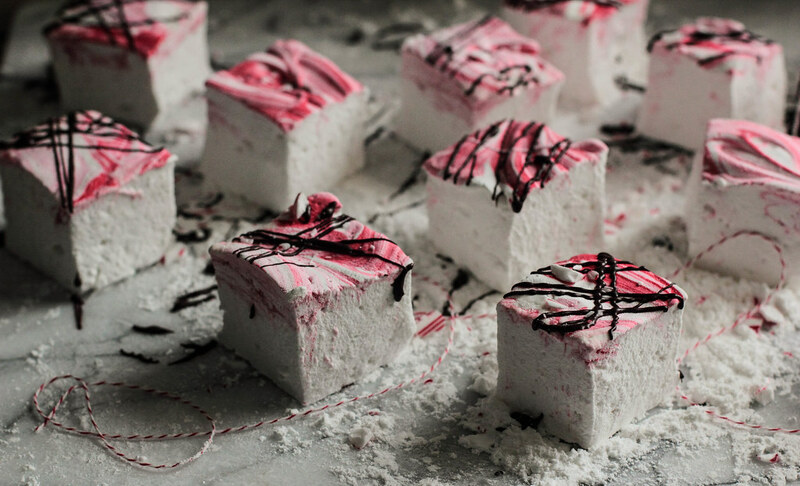 Drizzled with dark chocolate and sprinkled with crushed candy canes, the marshmallows are elevated so that they could be given as a holiday gift or served at a holiday party.